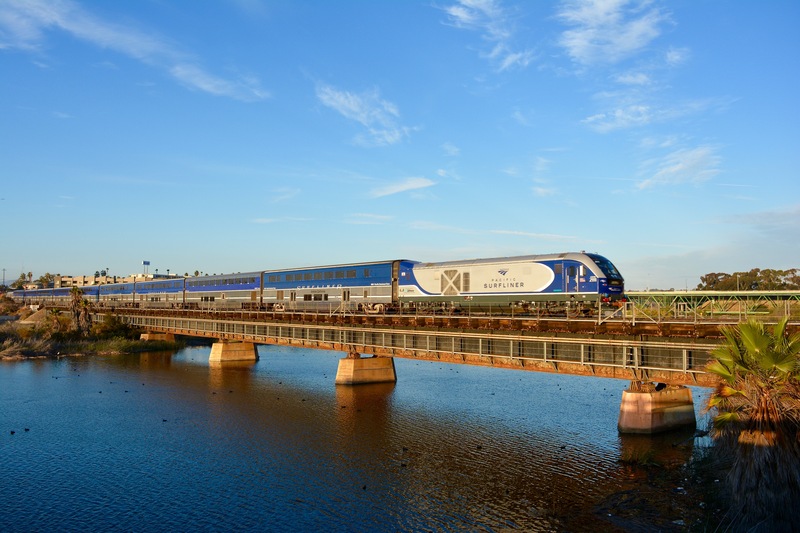 Ride Amtrak Pacific Surfliner® trains with your COASTER Regional Day or Monthly/30-Day Pass between Oceanside and downtown San Diego, with stops at Oceanside Transit Center, Solana Beach, Old Town, and Santa Fe Depot. Board any Pacific Surfliner® train for an express trip along the coastal corridor. See black out periods below. Any valid COASTER Regional Day or Monthly/30-Day Pass will be accepted on-board the Pacific Surfliner trains. Check the schedule, board on any Pacific Surfliner train, and show the Amtrak conductor any valid COASTER Regional Day or Monthly/30-Day Pass. What if I want to ride the Pacific Surfliner beyond Oceanside? Passengers who wish to continue their journey on the Pacific Surfliner north of Oceanside may buy the appropriate Amtrak fare online at www.PacificSurfliner.com, www.Amtrak.com, through the Amtrak mobile app, at a Quik-Trak ticket kiosk or any staffed Amtrak station. Are the rules and policies the same on COASTER and Pacific Surfliner? No, there are differences in the policies. All Amtrak policies apply to Pacific Surfliner trains. Complete policy information is available at www.Amtrak.com/onboard or by calling 1-800-USA-RAIL (1-800-872-7245). During complete blackouts, Pacific Surfliner trains listed on the COASTER schedule will not accept COASTER fare. Passengers who wish to use Pacific Surfliner trains must purchase an Amtrak ticket.